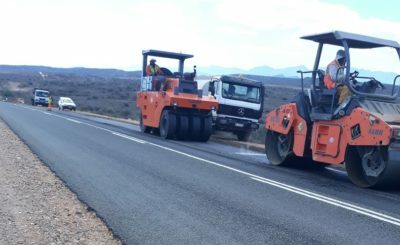 The Department of Transport and Public Works (DTPW) has started a project to improve and reseal 16,5 km of Trunk Road 75 section 1 (TR75/1) between Holgaten and Oudtshoorn, and to reseal 6,7 km of Trunk Road 1 section 2 (TR1/2) between Holgaten and Uniondale. 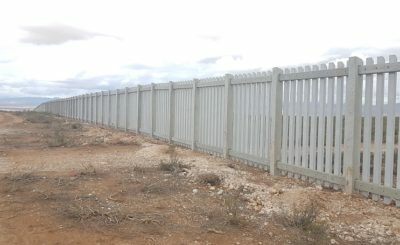 TR75/1, which was last refurbished in 2003, is a major north-south link between Oudtshoorn and George. 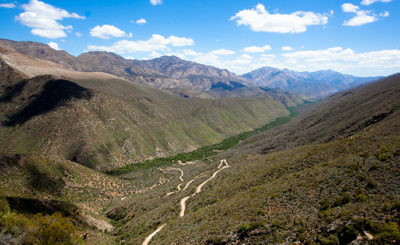 It serves the N12/R62 route to the Southern Cape. TR1/2 is a major west-east link between Holgaten and Uniondale. It serves the N9/R62 route to the Southern Cape. Work on TR75/1and TR1/2 includes patch repairs to the existing pavement, shoulder reinstatement, general maintenance of major structures, and resurfacing. Auxiliary lanes will also be constructed at certain locations along TR75/1. 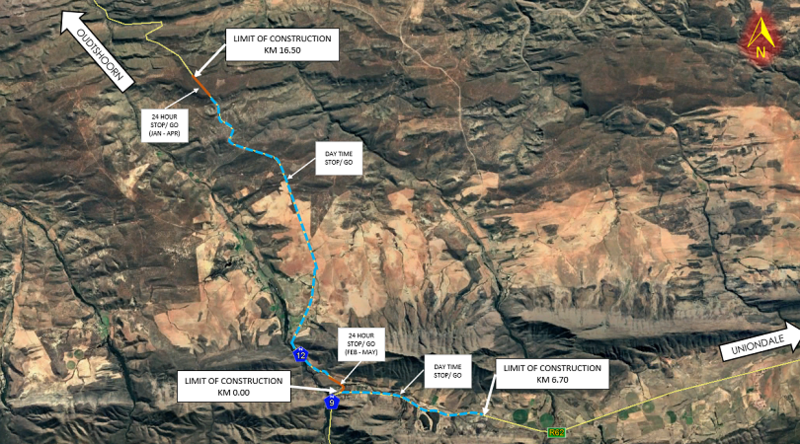 The half-width construction of six auxiliary lanes on TR75/1 is expected to take place from mid-January to October 2019 using 24-hour stop/ go controls (partial closures). The first of these stop/ go control points is already in place and construction on the second auxiliary lane is expected to commence in mid-February 2019. There will also be daytime stop/ go controls for patching and shoulder repair work. On TR1/2, motorists can expect daytime stop/ go controls between February and May for patching and shoulder repair work. Motorists can expect to have to wait for up to 15 minutes at stop/ go points.